If you read Part 1 of this series, you probably recall that I recently had the chance to do a run-through of the OSCR360 Solution. 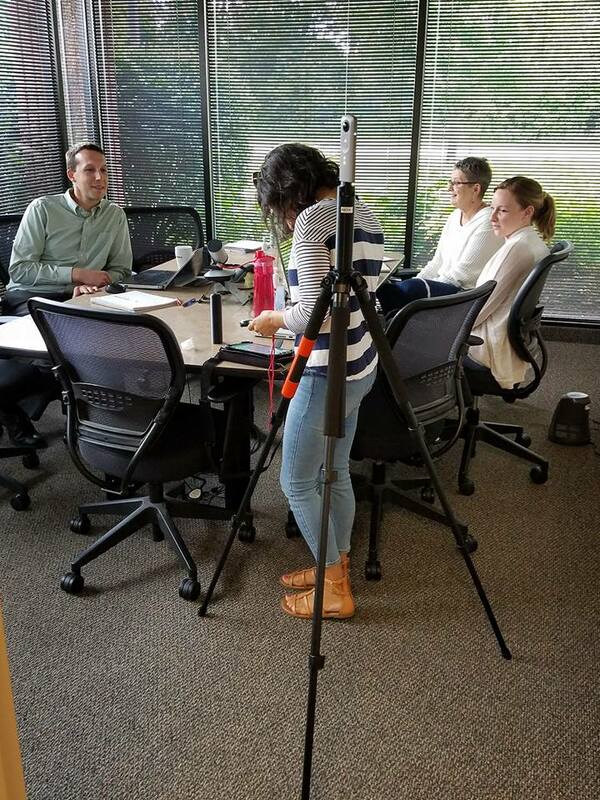 As I mentioned, I am not a tech-savvy person (like, not at all), so I was more than a little apprehensive when L-Tron’s Sales & Solutions team members asked me to try out OSCR360 with no training. The point was to find out if the solution was as user-friendly and straightforward as they designed it to be, and to see if the software had areas for improvement before the full product launch. In Part 1, I explained that the hardware was easy to set up, understand and use. Now, let’s talk about the software. Once I had opened the OSCR app, the software was fairly self-explanatory. The viewing pane shows several bars in a manner that I would liken to a checklist. First, connect the camera. If this step is already complete, that bar has a green light. Then, select a project or create a new project. This determines where the photos that you take will be stored. Finally, the software prompts you to take a photo. After I snapped a high-quality 360-degree spherical image (yes, the camera captured the floor and ceiling too! ), the image was instantly available for viewing on the tablet. This was one of my favorite features. Rather than having to wait for computer access to upload and review the photo, OSCR360 shows you the image immediately. This saves the user from taking several (or even dozens) of photos just to be certain that the ideal image was captured. If you don’t like what you see on the tablet, you can simply delete the photo, move the tripod in whatever fashion necessary, and take the photo again. Coming from what you might call a Type-A personality, I give this feature two thumbs up. The ability to add hot spot links to other evidence, including audio clips, video clips, still photos, and more. Overall, I found the OSCR360 software very easy to use and understand. The one suggestion I had for the team was to include a “How To” document or video (or both!) for first-time users (or even for a refresher). While the software and hardware are easy to use, a simple “How To” guide would eliminate the need for guesswork, and could making using the product even quicker and easier. As it turned out, my colleagues were already two steps ahead of me and have this guide in the works! I guess I shouldn’t be surprised, though – my L-Tron colleagues are always thinking of the customer first. From here, I am very much looking forward to seeing the finished product, complete with help features! As an unsavvy techie, I can honestly say that OSCR360 was easy to use and extremely fast. But don’t take my word for it, demo it for yourself! Read more about each of these, as well as more information about the functions available in OSCR360 in my next blog: OSCR360: More than Just Photography! Click to learn more about OSCR360 or Click to Contact Us.